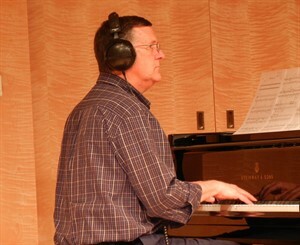 Kevin G. Pace is an award-winning composer and musician. He has written numerous works in many different genres. His works include choral music, beginning to advanced piano solo, piano duet, and chamber music. His music ranges from sacred to blues to boogie to classical/romantic to modern. He lives with his beautiful wife in the Salt Lake valley. He has six children and 17 grandchildren. Kevin has a degree in music composition from the University of Utah. He also has two degrees in special education.